Bill Belichick on fans singing Bon Jovi song: "a special moment"
Over the years, Bill Belichick and Jon Bon Jovi have developed a close friendship. 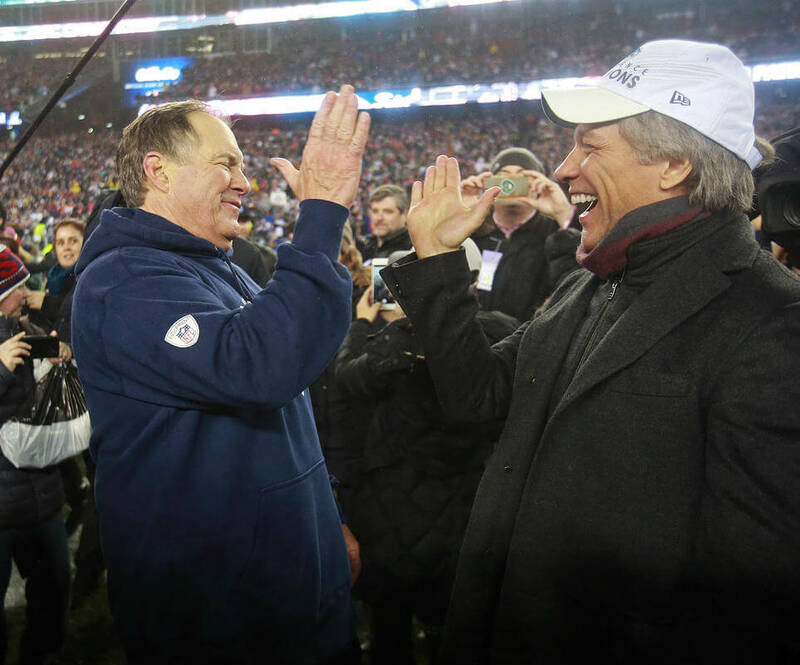 Bon Jovi, one of the most iconic rock stars ever, is no stranger to attending Patriots games. So it was unsurprising to see him at Gillette Stadium last night for the AFC Championship Game. During the second half, Bon Jovi's mega hit "Livin' on a Prayer" was played over the PA system, and the fans in attendance sang along as loud as they could knowing he was also in the building. 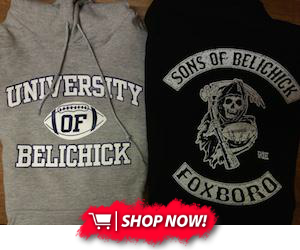 Belichick called that a special moment. Yeah, I was definitely aware of it. Jon, I mean I’ve heard him play that song dozens of times, but he had the place rocking, maybe a little more than we did. Yeah, pretty impressive. He’s a great friend, been a great friend for a long time all the way back into the '80s. We’ve shared a lot of great moments together including the 1990 Super Bowl in Tampa where he was in the locker room after the game still taking crazy pictures and stuff like that; great memories from there. It was great to have Jon here and I always appreciate his great support. Yeah, it was quite a moment, one that you usually don’t see at a professional football game. It was special. Bon Jovi, a Giants fan and New Jersey native, has been friends with Belichick going back to his days as a defensive coach with New York. Despite the fact his Giants have defeated the Patriots in two Super Bowls during Belichick's tenure as the Pats' head coach, he really seems to love New England. With the Super Bowl being a star-studded event, don't be surprised if you see Bon Jovi hanging around the team next week.